As announced at the Annual Meeting, you are encouraged to attend the Swedish Bioinformatics Workshop 2018 . Please note the relevant deadlines. Dirk Repsilber has promised to have a special event (e.g. a student meeting) on the schedule for MedBioInfo students. MedBioInfo will pay for one night’s lodging for its enrolled PhD students, per Board decision taken 21/Aug/2018. You may also use your travel budget to travel to the Workshop from your home university. You are expected to present a poster and/or give a talk. 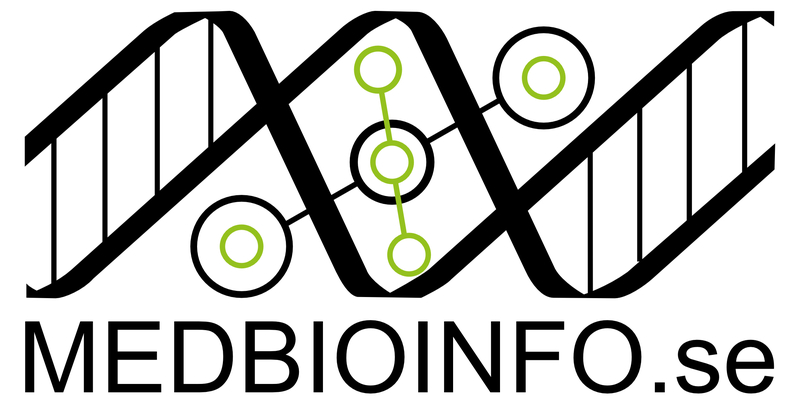 If you are NOT a MedBioInfo student — you will still be welcome to the Swedish Bioinformatics Workshop! MedBioInfo is not “taking over” the Workshop, though we should be out in force. Dates have been set for all your upcoming courses.